Following the announcement of Chief Art Acevedo's retirement, Austin Police Department Chief of Staff Brian Manley has been named as interim police chief. Manley's assignment will take affect Dec. 1. Interim City Manager Elaine Hart announced Manley’s appointment Friday. Thus begins a national search for a permanent replacement for Acevedo. It could be a lengthy process. 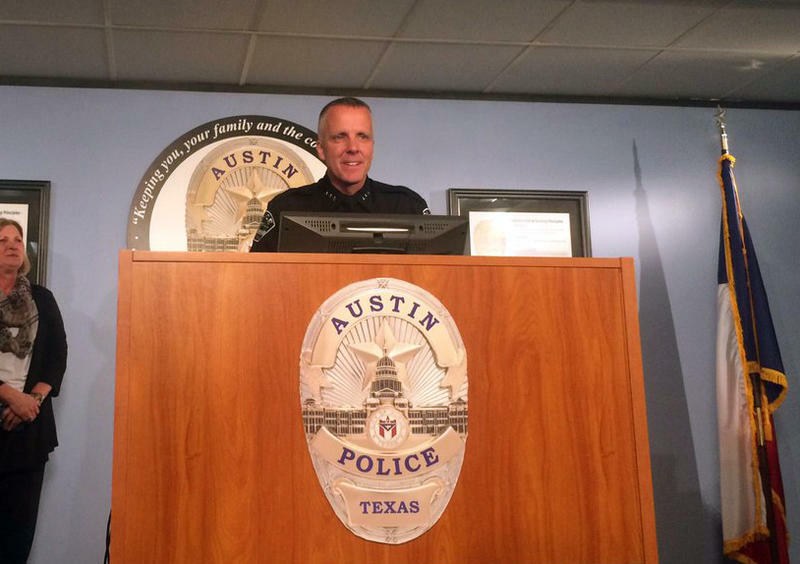 The search to replace former APD Chief Stan Knee took a year. Hart said Thursday she will recommend that the Austin City Council name a permanent city manager before a permanent chief. Mayor Steve Adler chimed in on the appointment. "Brian Manley is a strong, knowledgeable leader," he said in a statement. "I’ve been with him many times and have seen first-hand his commitment to our community and to building relationships. He understands our challenges we face and is ready to lead." The announcement came after an emotional statement by Acevedo on his leaving and the near-decade he spent as APD Chief. He struggled to speak between tears. "It's hard to say goodbye. I love my cops. And I'm going to miss them," he said, as a dozen of his commanders jumped up to join him at the podium. KUT's Nathan Bernier speaking with City Reporter Audrey McGlinchy about the chief's departure. 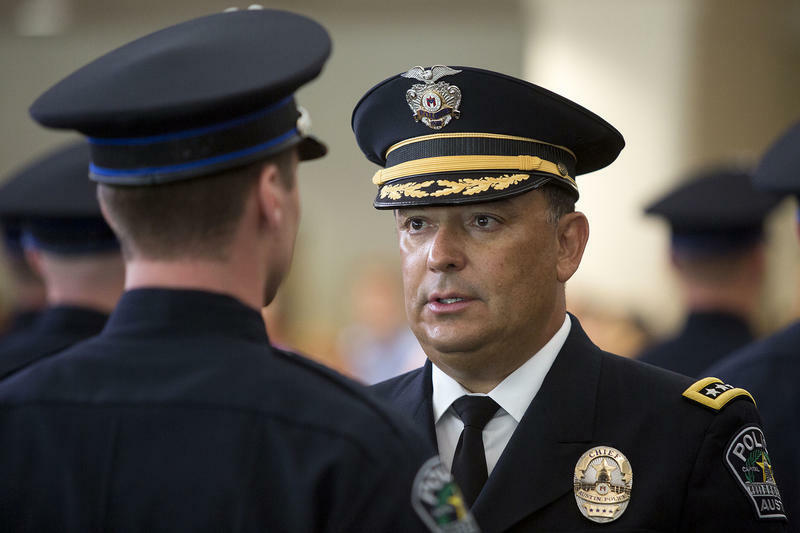 Chief Art Acevedo is ending his nine and a half year tenure as the head of the Austin Police Department. Acevedo is going to lead the Houston Police Department, according to a statement from Austin Mayor Steve Adler. 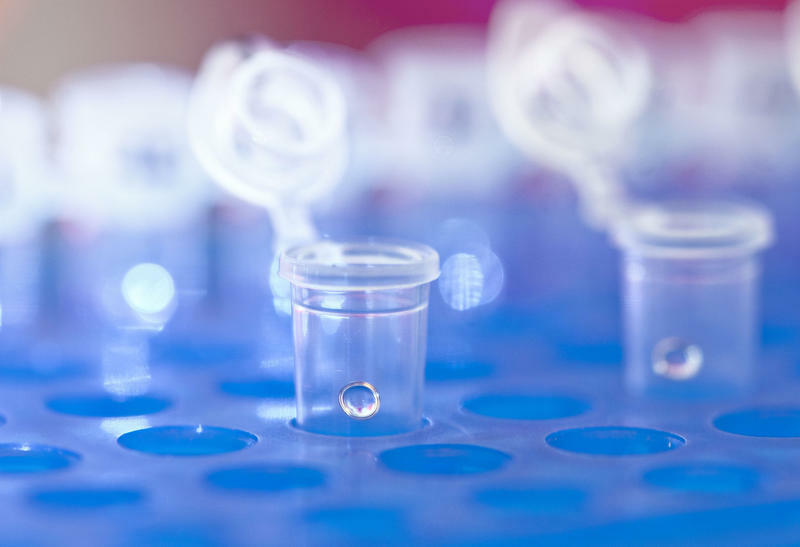 Update: The Austin City Council has approved a $3.6 million, six-year contract with Dallas County to send the evidence there for testing.